When reactors shutter, NRC permits them to eliminate the 20 mile evacuation protocol citing the decreased vulnerability of a reactor once the fuel has been removed from containment. Its true that a shuttered reactor is less dangerous than an operating one, but hazards remain. The high level nuclear waste (HLNW) in the fuel pools is vulnerable to accidents and acts of malice. Again, HLNW is safer in dry cask storage than in above ground fuel pools. Pilgrim's waste is suspended 7 stories in the air outside of containment. NRC is letting Entergy and potentially new owner Holtec off the hook since maintaining the 20 mile evacuation protocol costs money. Given Pilgrim's underfunded decommissioning fund, this relaxing of standards helps the corporate bottom line not the community's or the state's. Your help supports CAN to educate and engage people in nuclear site communities about the danger of nuclear waste, and bringing awareness of the Department of Energy’s plan to transport thousands of shipments of irradiated nuclear fuel from New England to temporary parking lot dumps in Nevada, Texas, and New Mexico. Thank you to the organizations signed on to the petition letter calling for an investigation of Entergy's operation of Pilgrim during storms when the nuclear reactor should be shut due to repetitive loss of offsite power. There is also an online petition for additional groups and individuals to sign. Please help get this message out to Governor Baker, AG Healey, Senator Markey, Senator Warren, and Rep. Keating by signing and sharing. Last week, we met with staff from Governor Baker's office and Senator Markey and Senator Warren's office. We also had an excellent conversation with folks from the AGO. Now we are waiting for their response. So let's keep up the pressure by using the online petition which goes directly to their offices. Putting this tour together is a lot of work! We are so thankful for the people and organizations who helped us to make this happen, from the rehab of the cask, to the people who'll give us food and a place to sleep on the tour, to the speakers who coming in from far and near, and the hosts for the events, our sponsors, and our supporters. Replacing nuclear and fossil fuel one house at a time with Solar PV installations! The Nuclear Waste Policy Act Amendments of 2017-2018 passed the US House of Representatives on May 10, 2018 by a vote of 340 to 72. The bill will now move to the Senate where a more vigorous fight is expected. Action in the Senate is expected to take place after the mid-term elections. It is essential that all New England Senators hear from their constituents. CAN opposes HR 3053. Yucca is a geologically unsuitable site for permanent storage of irradiated fuel and parking waste in Texas and New Mexico is unacceptable. HR 3053 The Nuclear Waste Policy Act Amendments of 2017-2018 authored by Representative Shimkus R-IL is an industry backed bill to reopen the Yucca Mountain Repository for high level radioactive waste containment. The bill also gives the green light to establish so called parking lot dumps for “interim storage” of irradiated fuel rods. The nuclear industry is proposing two parking lot dumps, one in West Texas and the other in nearby New Mexico. Yucca Mountain, located in Nevada, was defunded and the project halted in 2010. The site is prone to severe earthquakes and the mountain is porous. Two of the most important site criteria for storing irradiated fuel rods are keeping the canisters dry and stable geology. Yucca Mountain does not meet these crucial requirements. We need to be using sound scientific methodology not politics to solve our waste problem. Parking lot dumps are a way to kick the can down the road. To move thousands of shipments to Texas or New Mexico only to have to move them again is dangerous. To say we will find a permanent repository in the future is quite possibly disingenuous. Once parked the waste may never move again. This dangerous bill must be stopped! Check here to see how your Rep voted on nuclear waste HR 3053 (Shimkus). 300+ voted for this bad bill! We Need Renewable Energy, Not Nuclear Power! The nuclear industry is back at it again: promoting dirty, dangerous, expensive reactors at the public’s expense. The Nuclear Regulatory Commission (NRC) is reviewing an “Early Site Permit” application for up to a dozen reactors in Tennessee—with potentially no evacuation plans. This would be a dangerous precedent. 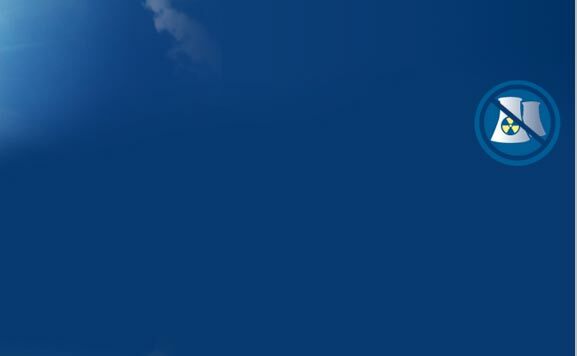 Late on Friday afternoon, Rep. Frank Smizik, Chair of the Committee on Global Warming and Climate Change and a long-time friend of the solar industry in Massachusetts, sent out a request to his colleagues asking them to sign a letter calling for the House to take quick action on several clean energy bills. The House leadership needs to hear from you that there is strong grassroots support for taking decisive action to support our solar industry and accelerate the Commonwealth's transition to 100% renewable energy. We can't afford to wait another two years for action on these crucial topics. Entergy is responsible for cleaning up their plant, but wants to hand everything over to NorthStar—a company that has no experience decommissioning nuclear power plants—instead. The deal Entergy and NorthStar proposed leaves Vermonters vulnerable to picking up the tab if something goes wrong. And with Entergy, we’ve seen things go wrong before. As it stands, the plan will leave Vermonters as the guinea pigs of a shaky new venture that may set a dangerous precedent for furture transfers. The people of Vermont and New England deserve strong protections in the clean-up of a nuclear plant. When these clean-ups go poorly, the public is left with a toxic mess on their hands. Thank you for your support, Nukebusters! With your help we can get our mock high-level waste cask back on the road. 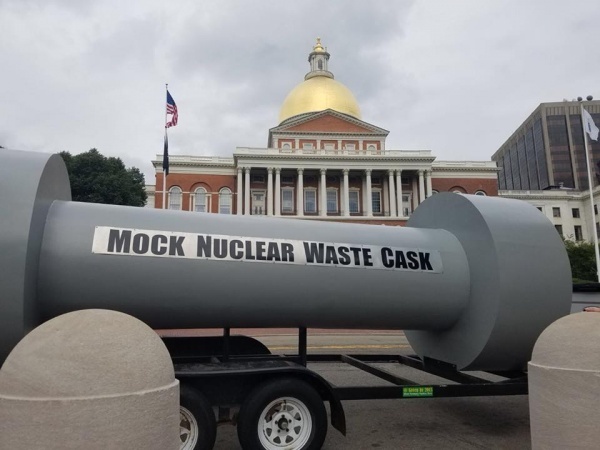 By driving our mock cask throughout New England, we’ll be educating and engaging people, and bring awareness of the Department of Energy’s plan to transport thousands of shipments of irradiated nuclear fuel from New England to temporary parking lot dumps in Nevada, Texas, and New Mexico. 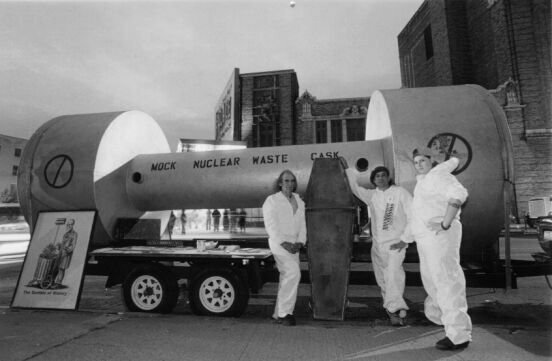 There is no scientifically sound, environmentally just solution to the monstrous problem of nuclear waste disposal. 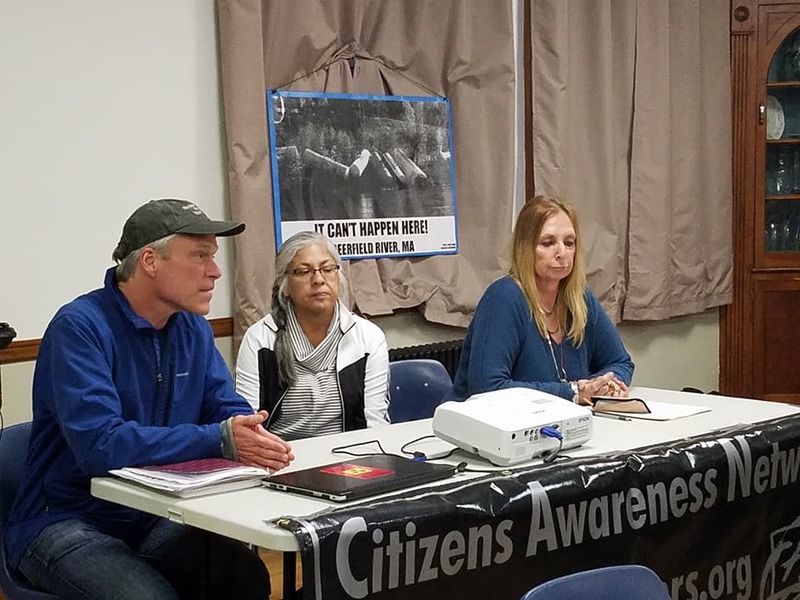 The national grassroots high level waste summit in Chicago brought organizers from throughout the country March 16-18, 2018. It was a great networking event. 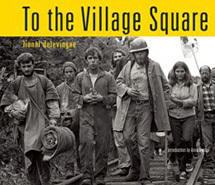 there was a focus on environmental justice, onsite storage at reactor sites, decommissioning and strategic planning on these issues and others. More young people participated in this summit and there is continued outreach to engage more young people in the movement. At the last summit, committees formed to address issues related to high level waste—HOSS (hardening of high level waste at reactor sites to protect the fuel from acts of malice), Yucca Mountain and the targeting of the Southwest for a "parking lot" there. These committees will continue and a fourth committee on decommissioning was formed. With NorthStar committed with WCS to create a parking lot in west Texas and Holtec's focus on a parking lot in New Mexico, organizers came away committed to oppose these short term solutions and the targeting of Hispanic communities. 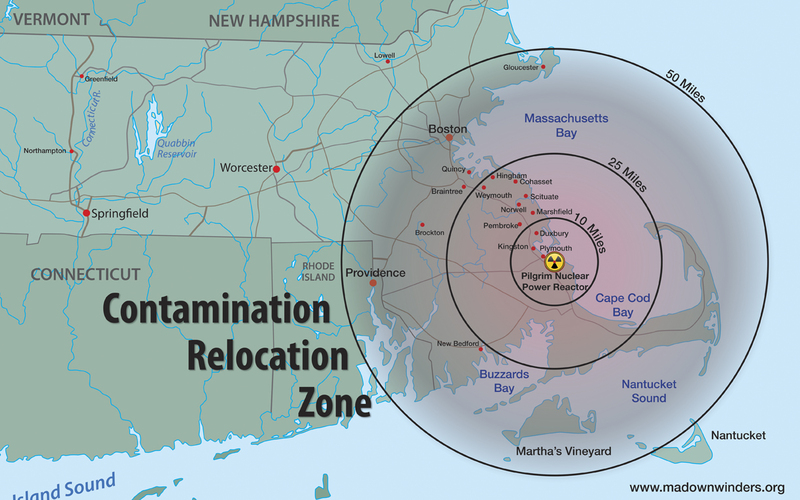 If you're interested in more information or help stop targeting these communities, contact CAN: 413-339 4374 or can@nukebusters.org. HR 3053—the Nuclear Waste Policy Act Amendments of 2017-2018 authored by Representative Shimkus R-IL is an industry backed proposal to reopen the Yucca Mountain Repository for high level radioactive waste containment. The bill also gives the green light to establish so called parking lot dumps for “interim storage” of irradiated fuel rods. The nuclear industry is proposing two parking lot dumps, one in West Texas and the other in nearby New Mexico. 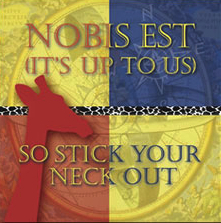 CAN opposes the legislation and asks our members to call their members of Congress. Parking lot dumps are a way to kick the can down the road. To move thousands of shipments to Texas or New Mexico only to have to move them again is dangerous. To say we will find a permanent repository in the future is quite possibly disingenuous. Once parked, the waste may never move again. Twenty-six community organizations call to enforce our right to safety. Thousands of people from across the state are calling for the immediate closure of the Pilgrim nuclear reactor in Plymouth. Entergy should not be permitted to threaten our communities for their profit. Read the letter to Senators by Diane Turco, www.capedownwinders.org here. We need 100% renewable energy by 2050. 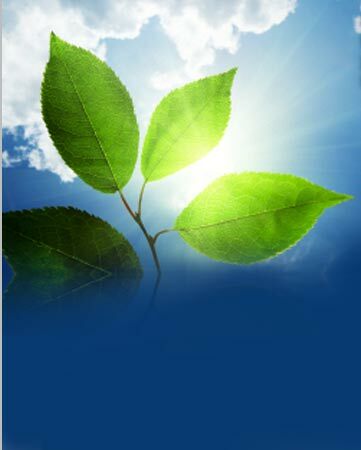 One necessary step to get there is with distributed solar PV generation on every viable rooftop, house and business. The Dept of Public Utilities (DPU) and utilities think otherwise. The DPU (in Docket 17-05) ruled that the Eversource’s rate case can add Minimum Monthly Reliability Charges (MMRC) consisting of 1) Increased Fixed monthly charge, 2) Demand charges, and 3) Reduced net metering credits (NMC) for all new residential solar installations starting in Jan 2019. You can help by contacting your legislator. HD 4413-increasing nuclear power plant protections to a fifty mile radius. This bill was formerly H. 2031 and passed the Joint Committee on Public Safety last session (2015/16), the first time a bill was introduced for a 50 mile expansion. In lieu of refiling this legislative year, Rep. Peake filed H. 2472 so Boston Downwinders approached Rep. Balser to late-file this bill. Please contact your Massachusetts legislator to support this bill. Cape Downwinders completed a successful ballot question campaign to move fuel out of the pool at Pilgrim to dry cask storage. All 15 towns supported the measure. This was a good opportunity to discuss the reality that Plymouth is a nuclear waste dump and citizens should have some say about it. We are now encouraging other towns to take up this measure. For information on how to get started—and it is easy—email capedownwindersinfo@gmail.com. We are at a tipping point in insuring that our children have a safe and clean future. Don’t let the Trump administration undermine all the good work that we have done. With speakers Kevin Kamps, Rose Gardner, and Deb Katz. On September 11, 2017, 57 National, regional, and local groups from all across the US have signed the coalition letter, urging all 100 U.S. Senators to vote against confirming Trump's nominees to the U.S. Nuclear Regulatory Commission, Annie Caputo and David Wright. Contact your senator to follow up about this matter, to bolster our case and chances. Trump refuses to spend any money to support climate action, but he can’t wait to give mountains of our hard-earned cash to dirty energy executives for more global warming and nuclear waste. We need to stop him, and move toward 100% renewable energy now. Help us stop the Trump administration's attack on renewable energy! Hurricane Harvey's path narrowly missed a direct hit on the South Texas Project nuclear reactors, which was nearly flooded by the Colorado River. 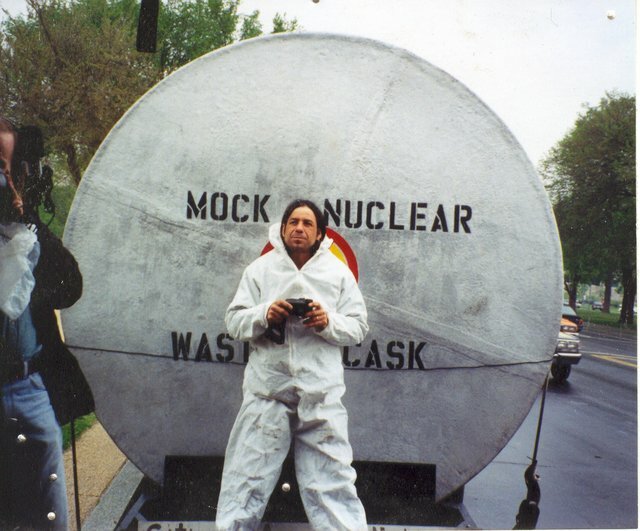 Say NO to the "Nuclear Waste America" Bill! Nuclear power produces highly radioactive nuclear waste with no place to go because, guess what—there is no safe place to store it! Moving highly radioactive nuclear waste is INCREDIBLY DANGEROUS! Or contact your U.S. Representative directly, look up their phone number here. In June, a group letter went to Shimkus and his Co-Chair OPPOSING THE BILL, signed by 49 organizations. The letter is a great source of talking points. You can also send the letter itself if you email your US Representative. 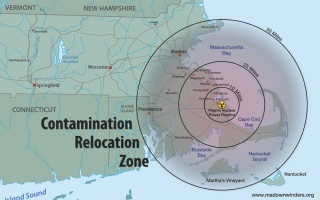 Does your Rep have nuclear waste transport routes in his/her congressional district? Find out here. Stop the Nuclear Tax Bailout! Last month, we told you about a bailout the nuclear industry is trying to push through Congress. Despite a multi-billion-dollar price tag, they are still at it. And if they can’t win a vote on the bill (HR 1551), they may resort to sneaky tricks, like adding the tax breaks to the budget bill or another energy bill. If we can stop them, it could stop new reactors and end the so-called “Nuclear Renaissance” (what we call a "Relapse"), once and for all.
. . . The world no longer needs to build nuclear power plants to avoid climate change and certainly not to save money. If you have any doubt about that fact please read the World Nuclear Industry Status Report 2017. Watch this video with the presenters in Brattleboro, VT on May 6, 2017— by BCTV.